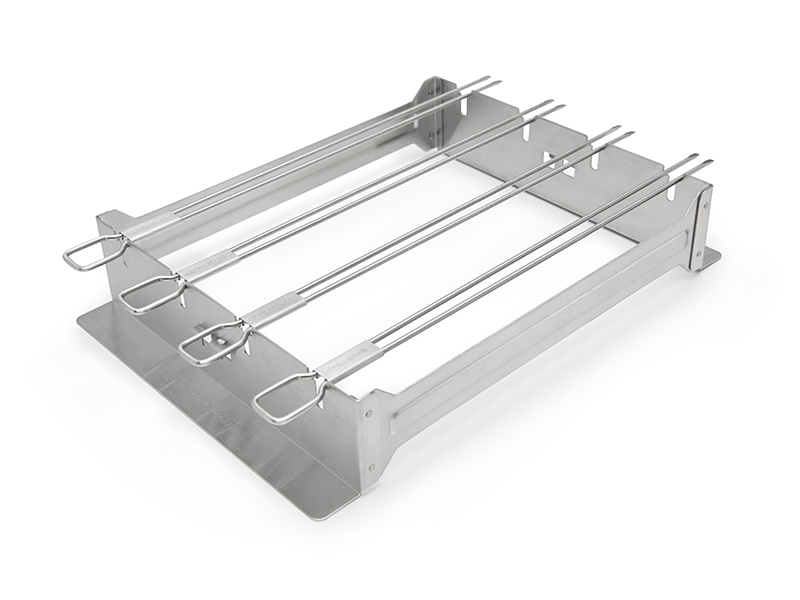 Hold 4 dual prong skewers at a time in two possible positions. Lay the skewers flat to keep them away from the heat or stand them vertically to get them close to or on the grill surface. Set contains 4.